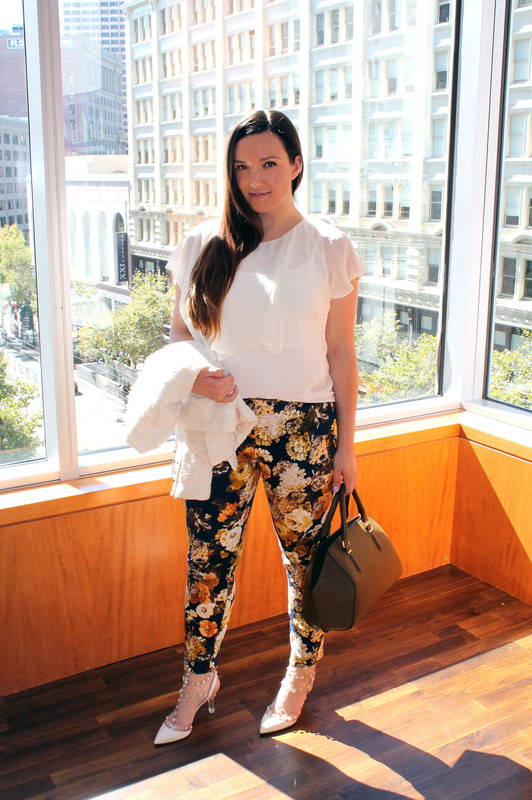 On Saturday I joined a handful of other San Francisco style bloggers at the Max Mara fall presentation brunch, hosted by the San Francisco Four Seasons hotel in the amazing MKT Restaurant. We enjoyed mimosas, a three course brunch, and a majorly interactive presentation of the Max Mara fall collection. While we caught up among us bloggers, the Max Mara models walked around from table to table each wearing their Max Mara look. It was really great to experience this more hands-on fashion show because we could talk to the models about the fit, feel the fabric, etc. If you were following along on my Instagram account…there were many gorgeous pieces that perhaps will make their way into my closet! For my brunch look, I wore a new pair of shoes that I’m completely obsessed with. I found these Valentino naked rockstud heels on major sale…over 60% off…one pair left…and my size! It felt like fashion fate so I was excited to snap up these shoes and wear them on this sunny Saturday morning. I know the Valentino rockstud heels have been majorly popular but I love that mine are a bit more unique with the Lucite straps and heels. To me, these shoes are my modern day Cinderella glass slippers! 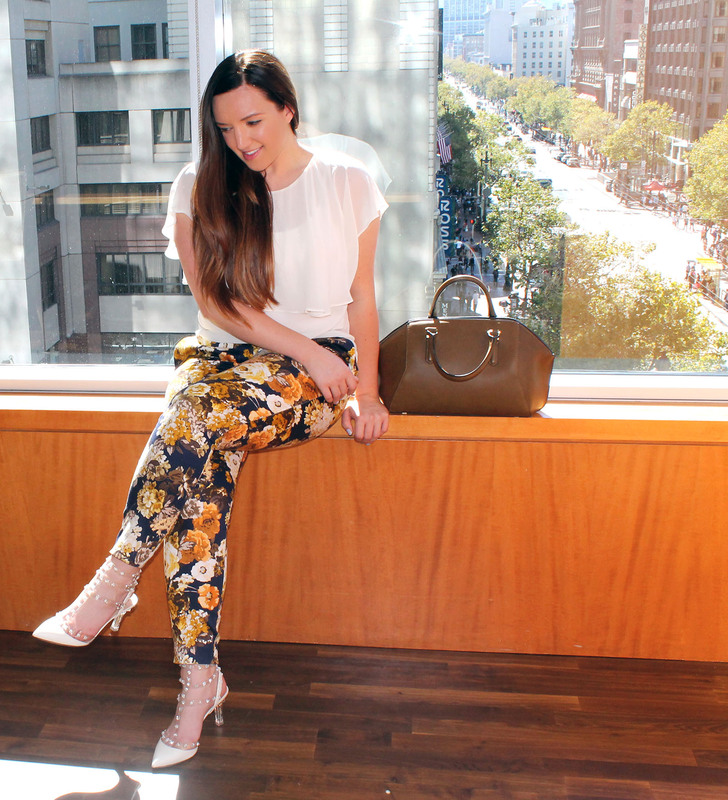 To keep with the delicate theme of the shoes I wore a light and airy chiffon top and pulled in elements of fall colors with floral printed pants and a structured bag. 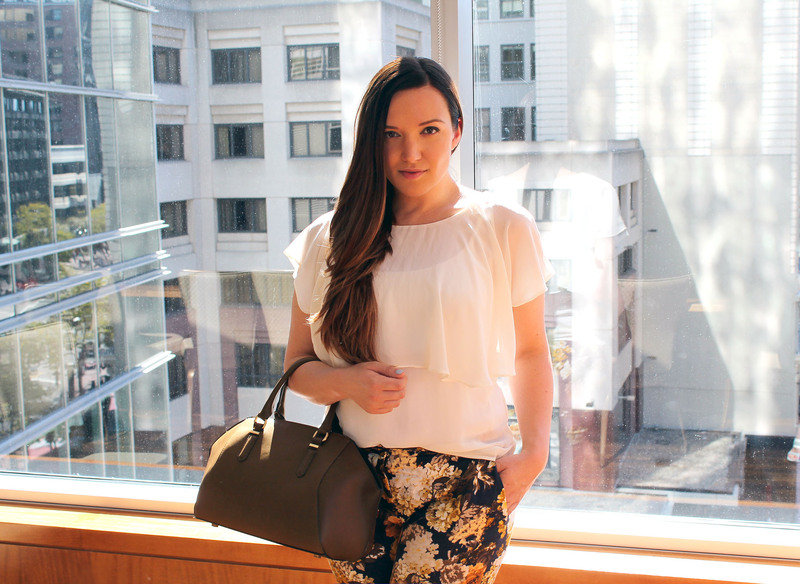 I love these mix of light and dark to take my look into fall. What do you think of the Valentino naked rockstuds? Are you as obsessed with them as I am?!? Killer heels – So jealous! They are yours to borrow whenever Caity! 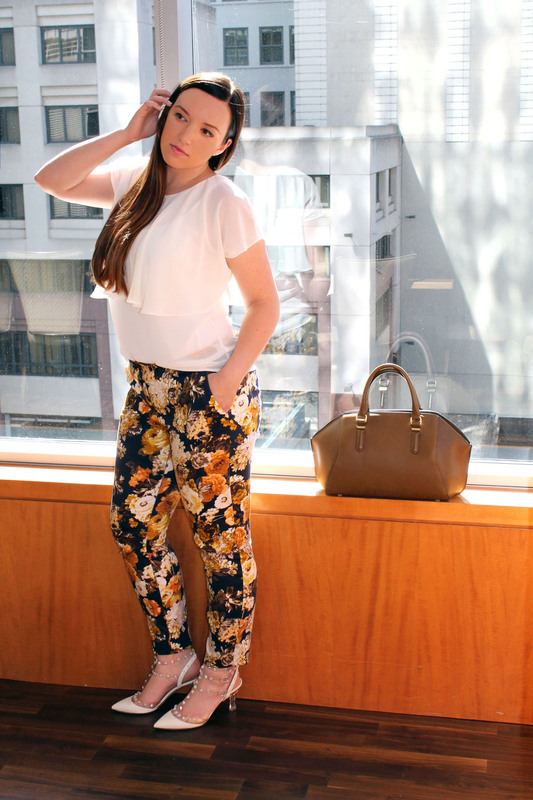 It is official – I love your shoe closet! OBSESSED with the rockstud heels — crazy popular or not! Sometimes you just love a pair of shoes. These look great on you! Love how you’ve styled them. I love all the individual elements of this outfit & how they came together. 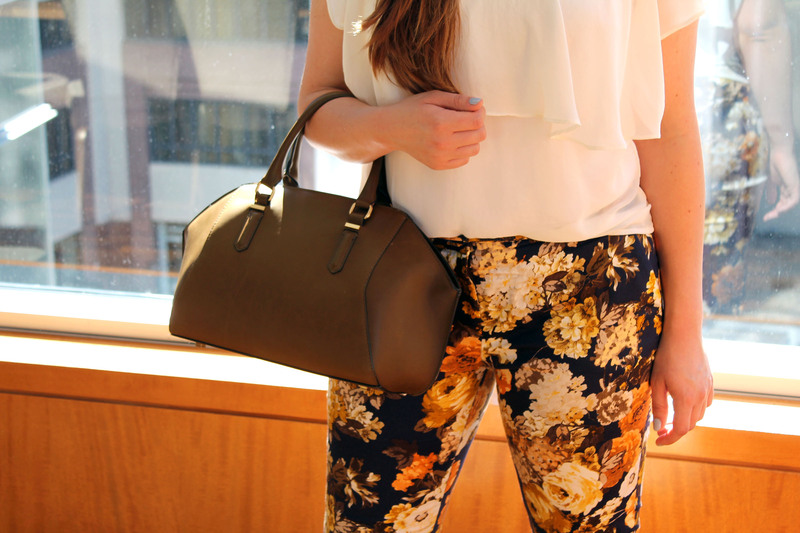 I adore the print of the pants and your shoes are BEAUTIFUL!! It must have been so thrilling to purchase them at the price you did.